L'Oreal Paris Sublime Soft Micellar Water 3-in-1 Purifying, & NIVEA Sensitive 3 in 1 Micellar Cleansing Water. Here is another smack down of cleansing waters I've tried. 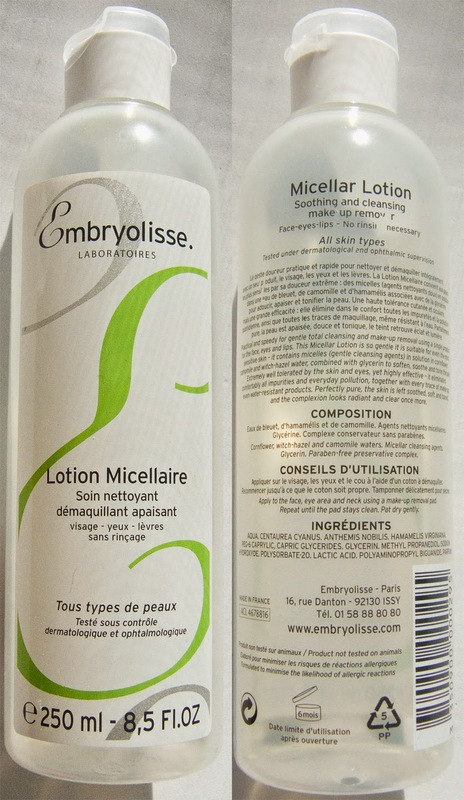 The Embryolisse Lotion Micellaire retails for $23.00US 125ml or $32.00US 250ml. The Bioderma Sensibio H2O micelle solution retails for $12 for 50ml, $22CAN for 250ml, and $39 for 500ml. The L'Oreal Skin Perfection 3 in 1 purifying micellar solution (L'Oreal Paris Sublime Soft Micellar Water 3-in-1 Purifying int he US) retails for $13.99CAN for 200ml. 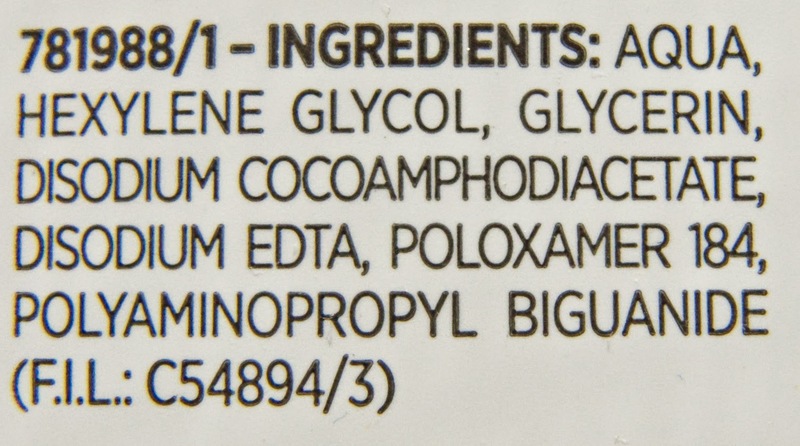 Also it's labels as L'Oreal Sublime Soft Gentle Micellar Solution - Dry & Sensitive Skin in Canada...... Yeah this product has some major identity issues!!!! 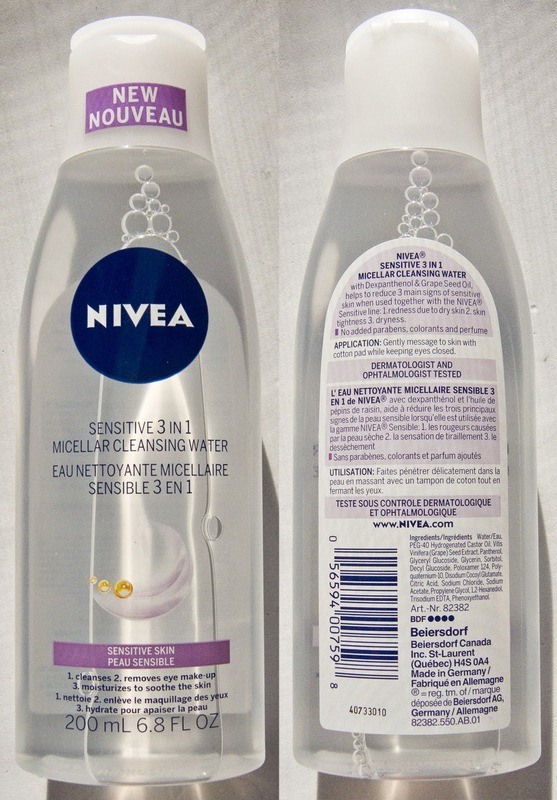 NIVEA Sensitive 3 in 1 Micellar Cleansing Water Retails for $8.99 to $11.99 CAN for 200ml. 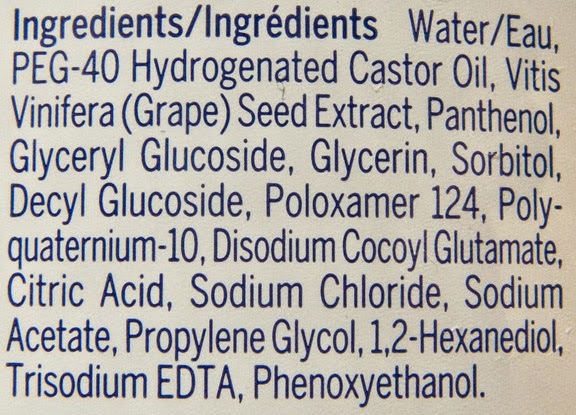 Bioderma Sensibio H2O micelle solution ingredients. 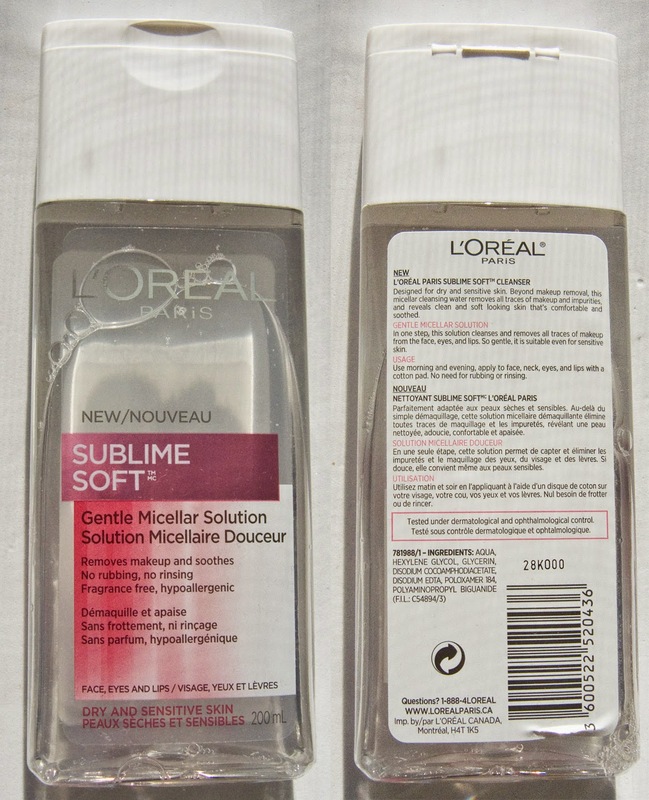 L'Oreal Paris Sublime Soft Micellar Water 3-in-1 Purifying ingredients. NIVEA Sensitive 3 in 1 Micellar Cleansing Water. NIVEA Sensitive 3 in 1 Micellar Cleansing Water. ingredients. 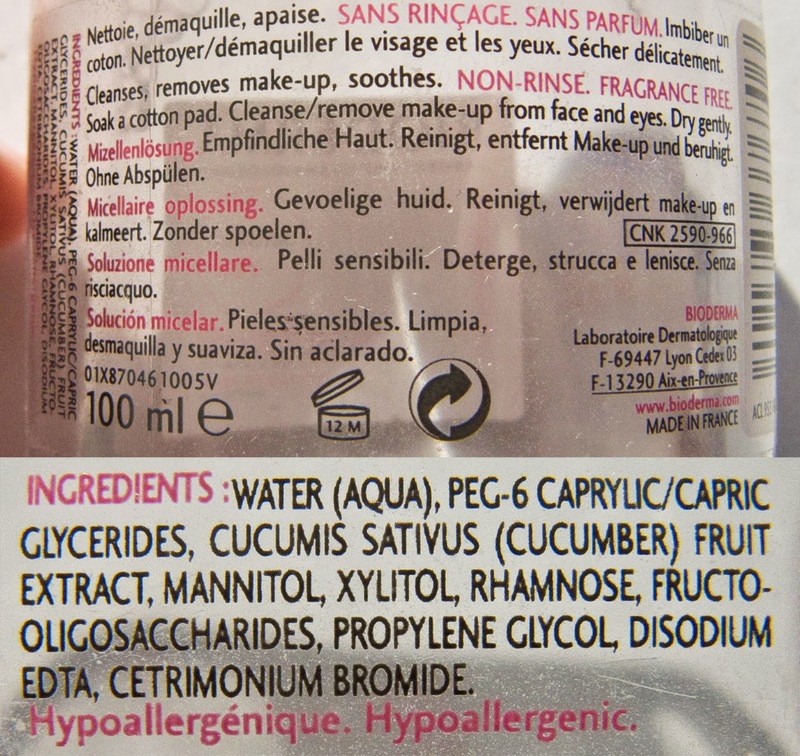 The Embryolisse Lotion Micellaire us a mostly natural based ingredients out of the 4. Ot does have fragrance but it very subtle like a natural oil. 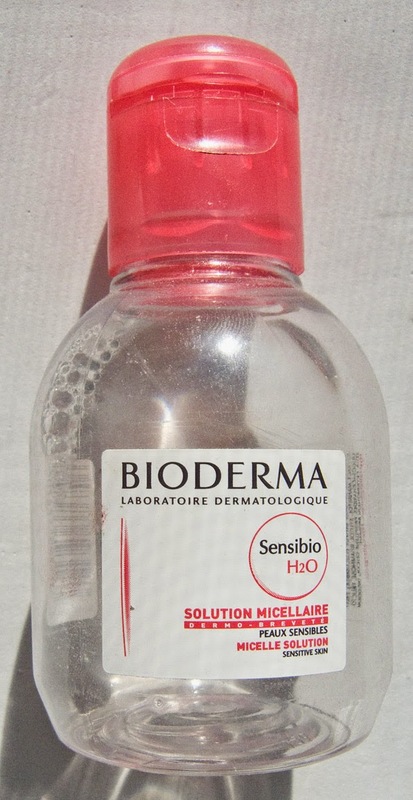 Bioderma Sensibio H2O Micelle Solution is fragrance free but feel slightly dryer on the skin. L'Oreal Paris Sublime Soft Micellar Water 3-in-1 Purifying is VERY similar to the Bioderma, fragrance free, and has a similar texture on the skin. NIVEA Sensitive 3 in 1 Micellar Cleansing Water I also fragrance free formula, But the texure on the skin is smoother with no drag. Bioderma Sensibio H2O Micelle Solution claims to break down water resistant product. It does that but it struggles with gel based product like gel liner, pencils and even some bases. Asa toner it seems okay at removing excess makeup from the skin. 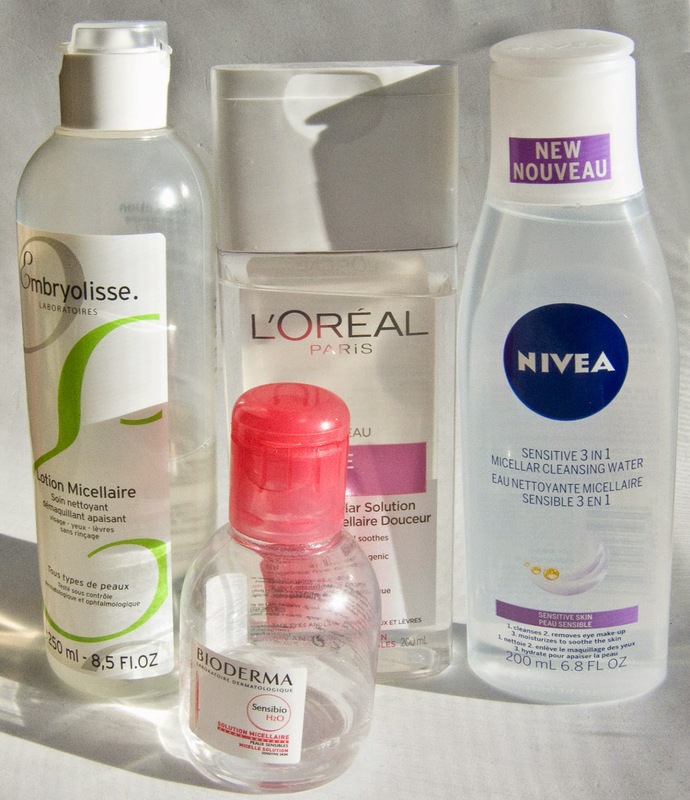 L'Oreal Paris Sublime Soft Micellar Water 3-in-1 Purifying i welt behave identically to the Bioderma. Embryolisse Lotion Micellaire however doesn't make an claims but I found that it effortlessly removed all makeup from my eyes with a cotton pads by holding the pad there for 1 minute or less. The only think I needed to touch up was in the lash line as just soaking there don't remove the product. Now this also make a great toner. I found that wafer wash with soap and water if I went back in with Lotion Micellaire it lifted more product out of the pours of my skin that might have been missed. The NIVEA Sensitive 3 in 1 Micellar Cleansing Water behaves the sam way as the Embryolisse Lotion Micellaire but with the added bonus that it does feel smoother on the skin while using it. And the skin feels slightly hydrated as well. Embryolisse Lotion Micellaire is still a favourite of mine, but the NIVEA one beats it on both price point and how it work with the skin. I can also buy this locally which is a huge bonus!!! WARPAINT & Unicorns Favourites of 2014!